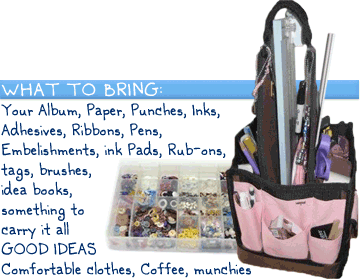 Are you overwhelmed with the idea of starting a scrapbook. Join in on this class and learn about tools, how to choose your photos, crop and mat your photos, layout designs, working with colors, journaling, and titles. These are the basic steps for every page and once you feel comfortable with these, you are ready to begin creating your First Album! 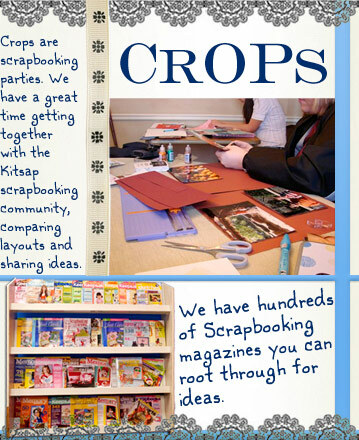 Now that you have learned what it takes to begin scrapbooking, you are ready to create your first layout. We will take you step by step through creating your first 2 page layout that enhances your photos and tells a story. Bring 4-6 photos of a related theme or event along with the basic tools talked about in the Get Started class. After this class you should be equipped to move forward in starting your first album. Check out our other classes to give you more inspiration. This class focuses on adding dimension to your pages with ink, paint, bling, stitching, and more. Each month we will focus on a medium that will add a fabulous touch to your pages. Class fee varies based on technique being taught. Look for details on monthly calendar. 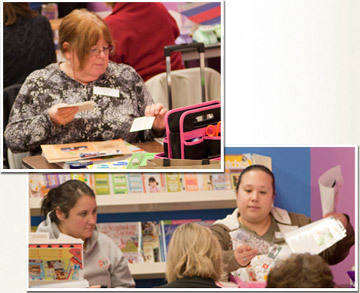 New tools are constantly being introduced to the scrapbook community. You can count on us to have a "how to" class so you know how new tools will add to creative arsenal. Class date and time to be determined. Look for this class on our schedule. Are you one of those people that just can't bring yourself to open the manual for the Cricut Machine you just had to have? Or are you looking to purchase a machine but want to know a little about it before you pull the trigger? This class is for you. Learn to use the basic features and settings that are the same with both the Cricut and Expression machines. Bring your Cricut machine, George or Plantin Schoolbook cartridge, and mat. 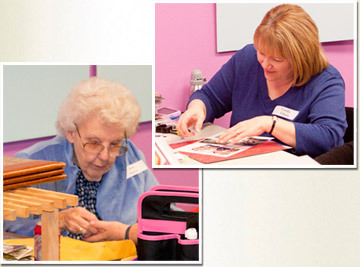 This class is for all you "out-of-the-box" scrapbookers who want to have fun using scrapbook product to make unique and interesting memory are for personal use or as gifts. 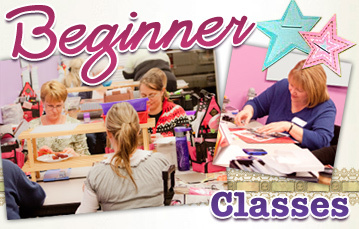 This class will feature a new project each month using the latest product lines and techniques. Class price will vary based on project. This class is for all you "out-of-the-box" scrap bookers who want to have fun using scrapbook products to make unique and interesting craft projects. Scrapbook products aren't just for the photo memory books. Now you can create amazing gifts, treasures and home décor projects unique to your environment. Polly comes up with some amazing projects that are not only fun to make but will be sure to spark conversation when visitors come to your home. Project and class day will vary. Check our schedule for new projects. Handmade cards are such a personal way to send a birthday wish, thank you, greeting or just a note to someone special. With the advancement of the scrapbook industry, there are so many great products that can serve both scrapbookers and cardmakers. 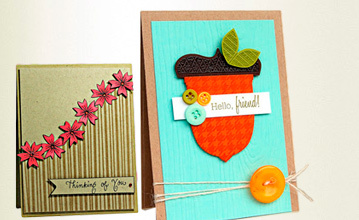 This class features cards based on the season or everyday greeting cards using a variety of products, tools and techniques. Time and dates vary, check our class schedule. 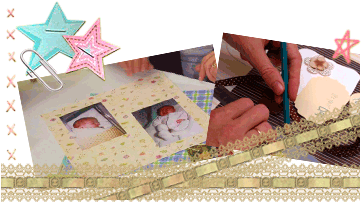 7 hours of uninterrupted time to work on your scrapbooks, card making or special projects. 4:00p.m. - 11:00 p.m. Check monthly schedule for dates. What better way to make great progress on your scrapbooking/crafting projects then to have 11 hours of dedicated time. We make this day fun-fill with games, prizes, snacks, beverages and contests. Check monthly schedule for dates. Are you looking for a unique way to celebrate a birthday, baby, wedding or gather your group for creating a special project? We can put together a custom party for your guests where they create their own mini "friends" album or together they can make a friendship album for the birthday guest. Or, have your baby shower guests each make a layout to put in a "babies first year" album so the mom-to-be has it all ready for those milestone moments. 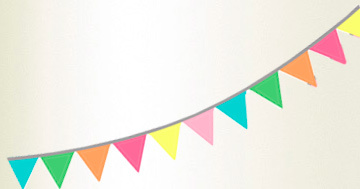 Get creative with your party ideas then call us to make it happen.